Blackberry Playbook Dock. Use your PlayBook at a comfortable angle while charging. PRODUCT DETAILS CE ROHS Certified Fully Approved 1 metre lead Sync your device to your PC for data transfers Charges the device simultaniously. UK Specifications CE Approved Mains wall For Blackberry 9700 Bold 2 9520 Storm2 Playbook 9780 8230 9630. Charging indicator. UK trading Standard approved. CE and RoHS approved. Charging (& data sync if required by the device). With everything you've got going on; power and speed are essential. Compatible products: BlackBerry PlayBook. - Convenience of small; compact design with flexibility of rapid charging. - Portable size; designed for traveling. Ex-Pro HDMI Wireless Transmitter Receiver Adapter Dongle. CCTV & Baby Monitors. Baby Monitors. Disco & Party. Accessory Cases. Security & Safety. Personal Safety. Coffee Machine Cleaning. 100% Genuine and Official BlackBerry Accessories. We are optimistic that you will continue to buy from us in future. FOR PLAYBOOK/Z10/Q10/BB10/9800/9900/9320/9360. Order made after 1pm dispatch within 24hrs. 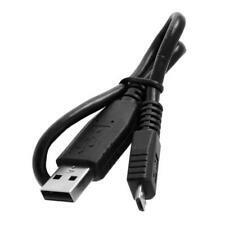 High speed USB 2.0 data transfers. Simultaneously charging through your computer's USB port. SEND TO UK AND WORLDWIDE. Phone charging is easy; eradicate the need to worry about draining of battery. Expeditiously handing it over to your phone at the utmost safe rate. Key Features. Compatible Model: For BlackBerry PlayBook Material: Plastic. Blackberry Playbook Dock. Use your PlayBook at a comfortable angle while charging. MPN: ASY-34726-001 Connectivity: Magnetic charging. Basic Specifications. Overload protection. LED Charging indicator. 1 x Power Adapter. 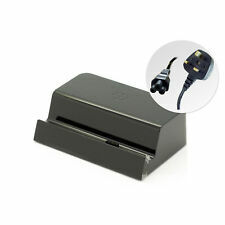 BlackBerry Premium PlayBook 5V 2A UK Charger - UK EU US AU Plug-Retail Packaging. Condition is New. Dispatched with Royal Mail 1st Class. BlackBerry® PlayBook. BlackBerry® Bold 9900. BlackBerry® Bold 9790. BlackBerry® Bold 9780. BlackBerry® Bold 9700. BlackBerry® Torch 9860. BlackBerry® Torch 9810. BlackBerry® Torch 9800. Output :DC 5V 2A( Fit current 2000mA and below ). 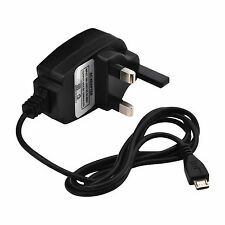 1x EU Power Adapter ( as picture shows ). Plug: EU Plug. Input: 100-240V AC 50/60Hz. Storage Condition: -40°C- 60°C. With everything you've got going on, power and speed are essential. BlackBerry PlayBook. Power adapter. Product Type. Designed For. ALL PART OF OUR FAST, SAFE & EASY SERVICE. Manufacturer's Part Number. We will despatch this item within 48 hours apart from weekends. Compatible Product Line Playbook. 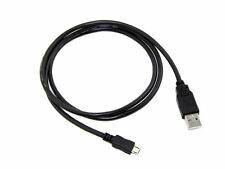 Compatible with: Blackberry Playbook tablet PC. 1M Extendable Aluminium Tripod for Canon 500D, 450D, 350D, 100D, 70D, 60D, 7D tcf545(299). Silver Stylus & Pen for Microsoft Surface Pro, Surface Pro 2 / 3 / 4 w/ Soft Tip.